Pallets can be thought for so many different uses but the possibilities become bigger if you tear the pallet apart into pieces! 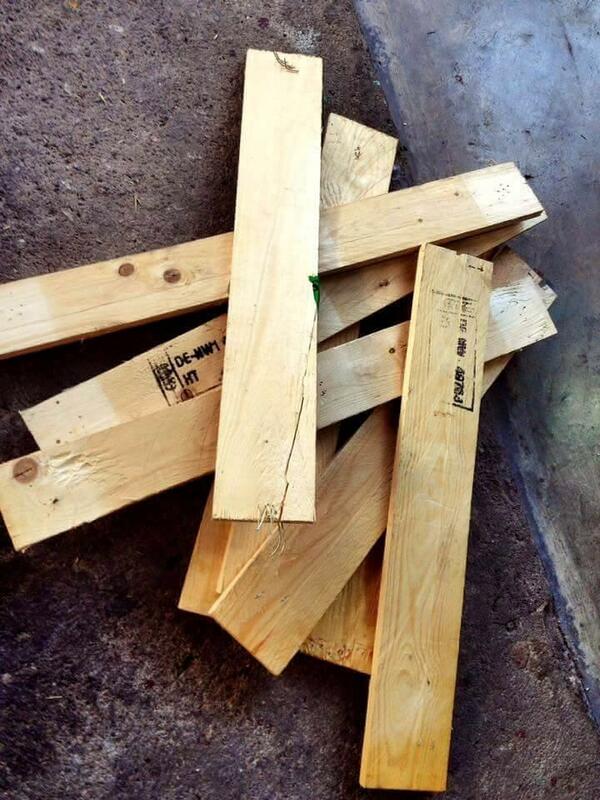 When someone deconstructs a pallet board, it gives him a bunch of straight wooden planks that can be reassembled to build extraordinary and unique wooden crafts having in your imaginations! Only single slats of pallets can be too good for custom furniture constructions, you can plan them for fabulous wall decors and art pieces and they can be taken as a unit to install bigger structures of your favorite pallet furniture pieces! 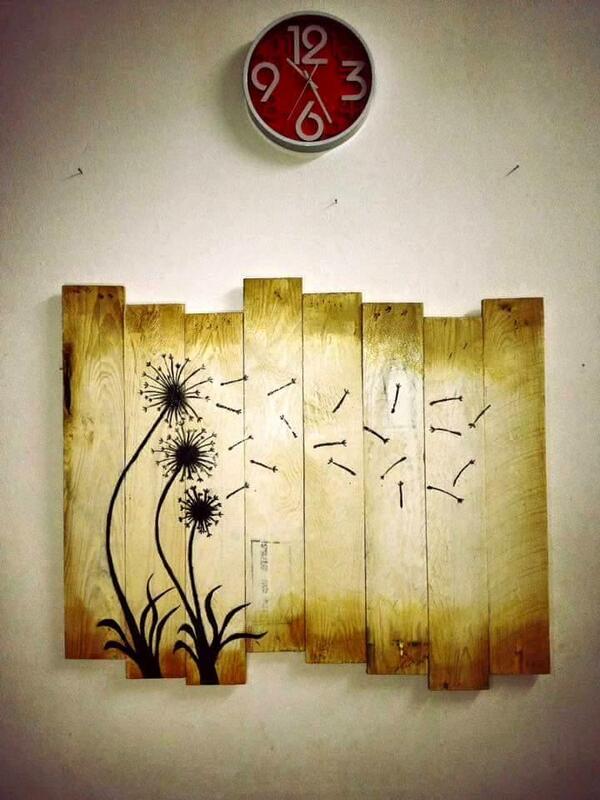 Here this DIY pallet wood wall decor art piece has been done using removed pallet planks and a little paint! 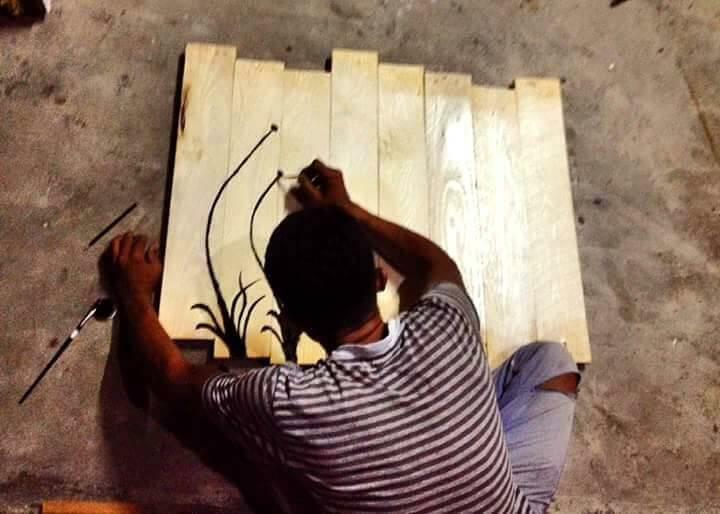 Pallet wood stripes having custom different sizes have been put flat to gain an art style wooden board which has then been painted for beautiful dandelion flowers sketch over it! You can draw your favorite art on this wooden board and can even take help of stencil patterns to do so! 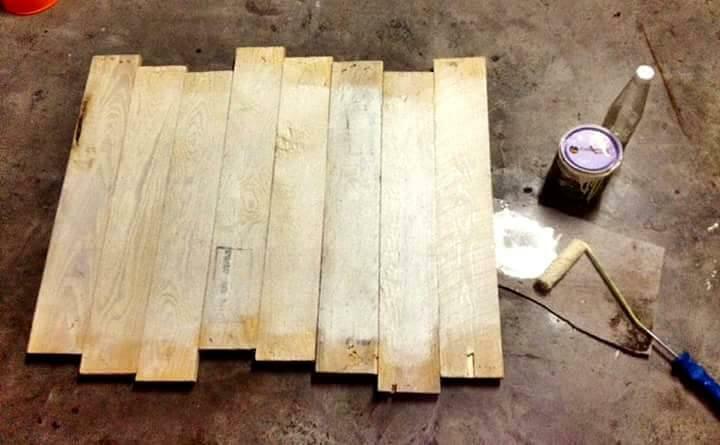 Tear a pallet board and get the straight wooden stripes for this fancy wall art construction, you can collect such a wooden slats from the surrounding areas and from construction sites! 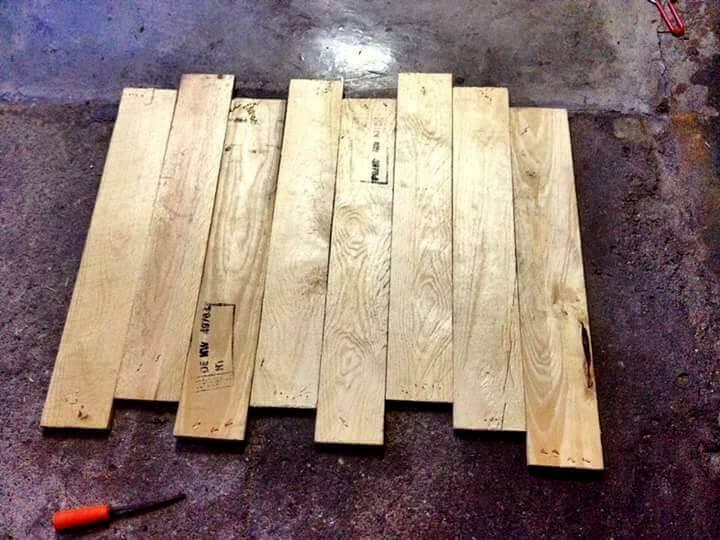 Combine these grabbed single pallet slats and just get an arty style wooden board which you are to painted later for a custom wall decor or art piece! Apply the primary coats a little so your painting will look well and bright, you can apply even thin coats of white paint but keep the rustic behavior of wood still visible! Now use your artful hands to draw and paint something unique over this wooden board, may be picture, a flower art or some name letters, here it is the dandelion flowers! Here it is the final look of this handcrafted wall decor art, see the dandelions going in the air, will truly a fancy addition to any of your modern wall!